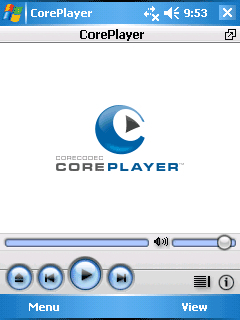 In honor of my metal-intensive review, let's make it just a little easier to rock out with your WM phone by giving away a copy of CorePlayer - the commercial successor to TCPMP and a great player that supports multiple audio and video formats. It's my favorite media software on WM by far. Do you listen to music on your smartphone, or do you use a different device (or do you not listen to music at all)? I switch back and forth myself - sometimes I can't believe how convenient and awesome it is to have a bunch of music on my phone, other times I just want my iPod. Head on over to the forums and chat a bit about music on the WM5 platform. Any post in this thread between now and noon EST tomorrow, March 1st, qualifies. ..I say this every day - but every day I mean it: Every entry in a daily contest doubles as an entry for the Grand Prize and the two Second Prizes! Namely: A Smartphone of your choice plus $300 to spend in the WMExperts store and a couple of Slingbox Pros.